The path to success for college students is a well-traveled one – graduate and find a good paying job. Tricia Seifert, associate professor of adult and higher education at Montana State University, explores whether a different path might be needed in the future. 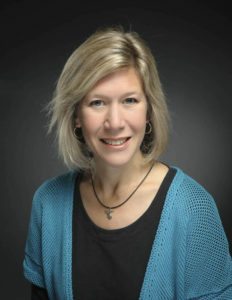 Tricia Seifert is an associate professor in the Adult & Higher Education program at Montana State University and maintains a status only appointment in the Higher Education program at the Ontario Institute for Studies in Education, University of Toronto. She uses sociological theories and principles to examine issues related to post-secondary student learning and success. Her interest in understanding how colleges and universities organize to support student success stems largely from her administrative background working in orientation and transition programs, residence life, student leadership programs, and fraternity/sorority life. Having worked at both large and small post-secondary institutions, Tricia witnessed the interplay between organizational structures and culture with respect to how campuses support student success. In the US, we tend to use a fairly linear definition of college student success, exemplified by the two cs in the word. The first ‘c’ is completion, specifically degree completion, i.e. students succeed when they graduate. This also means colleges and universities succeed when they graduate students. The second “c” is cash from a well-paying job. In this definition, success is completely linear. Completion leads to cash. But when I interviewed students about their definition of success, it wasn’t so linear. Students want to graduate with high grades and get a good job but they also want to learn how to take risks and rise to challenges. It was through these conversations that I realized the common definition of college success limits students and deprives them of the true value of their education. 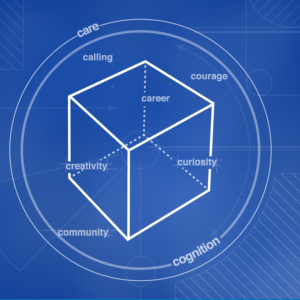 So here’s my proposal: it moves from a linear definition of success to one that is cubic. The first c is for curiosity. Students are successful when they want to know and push boundaries. Pushing boundaries calls on students to think, but more importantly, act creatively. Engaging one’s curiosity and creativity requires students to be open to their life’s calling. ‘Completion to cash’ sings a siren song, it takes a great deal of courage to listen and embrace one’s calling. But when they do, students are rewarded not with a job but with a career. Meaningful work that is personally fulfilling and enriches their community. And community is a core value of higher education, which from its very inception was intended to benefit the public good. 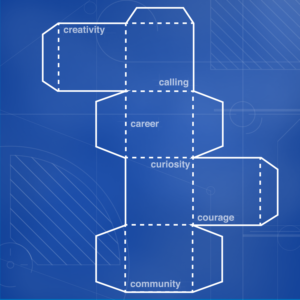 Together, curiosity, creativity, calling, courage, career, community – form something greater — something more complex than the linear definition of success. They capture the value and promise higher education holds for students and society.